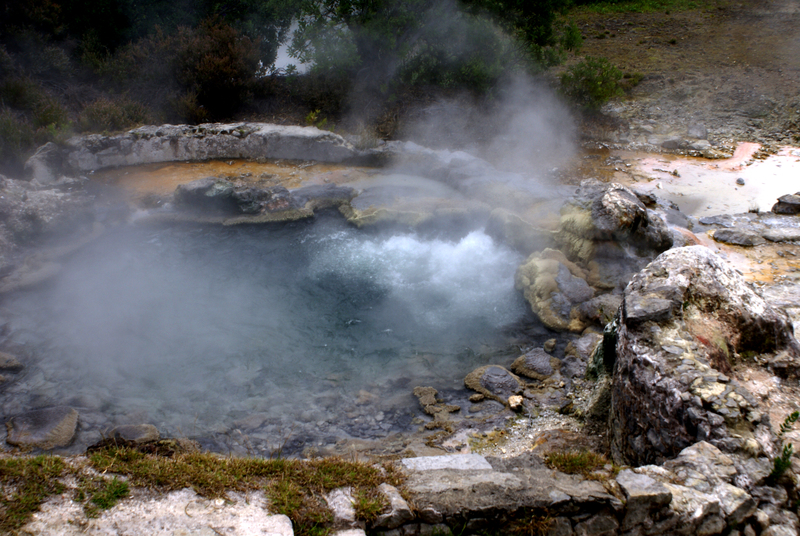 Relax in a rock-lined mineral bath, or check out the geysers and bubbling mud at Furnas, a volcanic village best known for its thermal pools and other geological attractions. Located on the island of Sao Miguel in the Portuguese Azores, the town features a large lake in the center, surrounded by the crater's steep sides. For a nominal fee you can soak in the warm pools and use the modern amenities, including lockers, bathrooms, and changing rooms. Wander the Terra Nostra botanical gardens to see some plants native to the island. Be sure to try the local specialty, "cozido das furnas"--traditional food cooked for over six hours in the scalding heat of the steam vents, and rumored to be delicious. Take a look at our Sao Miguel trip planner to schedule your visit to Furnas and learn about what else to see and do during your holiday. Visit the Furnas Lake where is made a stew with the pot buried in the floor of an ancient volcano effervescent. The cooking time is 6 hours. The location is wonderful and different. A lake in an extinct volcano. We had lunch this stew and it was delicious. Small town East of Sao Miguel, Furnas must be part of your stay. Terra Nostra Botanic Garden is beautiful. The entry fee gives you access to the different baths of hot springs including the vast basin to red water. A Board, do not put your last swimsuit fashionable, you will a big disappointment. The entrance is free if you have lunch at the excellent restaurant of the hotel that bears the same name Terra Nostra. Also not to be missed, a small garden opposite where you can see the volcanic activity of the island! Every day, we help thousands of travelers plan great vacations. Here are some tips on how to use your Listing Page to attract more travelers to your business - Furnas. Promote your permanent link - https://www.inspirock.com/portugal/sao-miguel/furnas-a122911113 - on your website, your blog, and social media. When a traveler builds a plan from this page, the itinerary automatically includes Furnas. This is a great way for travelers looking for a great vacation in your city or country to also experience Furnas. Promoting your link also lets your audience know that you are featured on a rapidly growing travel site. In addition, the more this page is used, the more we will promote Furnas to other Inspirock users. For best results, use the customized Trip Planning Widget for Furnas on your website. It has all the advantages mentioned above, plus users to your site can conveniently access it directly on your site. Visitors to your site will appreciate you offering them help with planning their vacation. Setting this up takes just a few minutes - Click here for instructions.